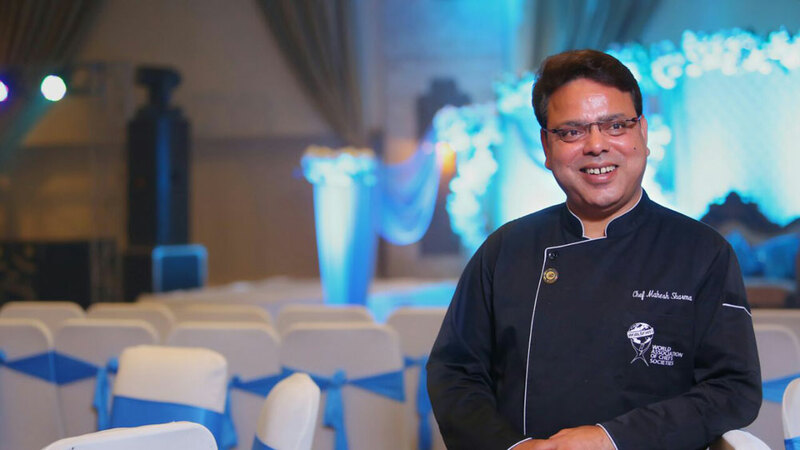 In an interview to Restaurant India, Chef Mahesh Sharma, Executive Chef- Radisson Blu Dwarka talks about food presentations and innovation. After doing my hotel management from IHM Jaipur I started with Taj Lake Palace Udaipur. I have worked with hotels including Rajputana Paryatan, Jaipur, Holiday Inn- Jaipur. My next exposure began in Mumbai which was the next phase of my life with Regent where I have worked with chefs like Sanjeev Kapoor and Harpal Singh Sokhi. I have also worked with Sanjeev Kapoor for sometime and then moved to Dubai working in Abu Dhabi, Sharjah for almost four years. Dubai brought several awards and accolades to my kitty and then I moved to UK. It was in 2006 that I had to return to India and since then I have been associated with many hotel chains. I have worked whole my life. I am a born artist. All my focus is on food is. We make original food, which is created in a different and innovative way keeping in mind that the authencity remains the same. I try doing fusion, mainly Indian fusion- kebas, curries etc. I also focus on Rajasthani and Marwari food and have worked very closely over the concept of Maharaja food. India is much better than the UK, USA in terms of culinary journey as India has got a very rich culinary skills because of recipes and history of our food. Only China can challenge us because Chinese food is famous globally and so is ours. Today, we are much ahead of the global dining scenario. All international ingredients, raw materials are available in the Indian market. But our spices are not available in theirs. We started our career by following recipes and rules but now days they experiment. There is no respect for recipes. We make authentic, original food but play with raw material to make it artistic as well to make it exotic and innovative. For eg: we do malai kofta the same way but we make it oval instead of giving it a round shape. Also, we make ‘makhmal’ ki gravy and not the normal one. This is what I always tell my staff, as presentation is more important than originality. The guest should say WOW when he looks at the food. Today’s customers are very knowledgeable. You cannot play them around; they know what they are ordering. People come to a restaurant for taste, presentation is an add on.